Windy Hill Dunes! Oceanfront! Premier Hirise! Quiet Seclusion! Wi-Fi! 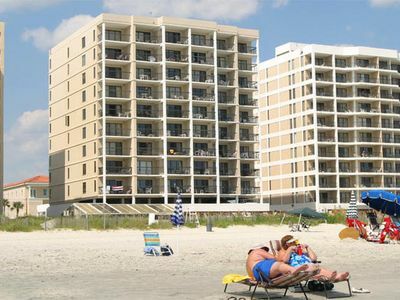 Windy Hill Dunes opened in June of 2000 as one of the premier resorts in the highly desirable Windy Hill section of North Myrtle Beach. 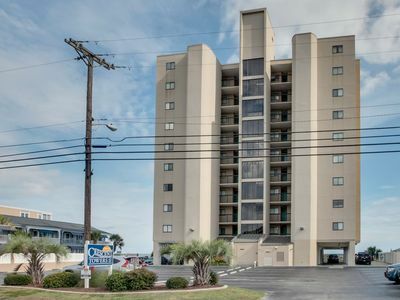 All condos in the resort front directly onto the beach, offering 180 degree views north to Little River and South to Myrtle Beach. 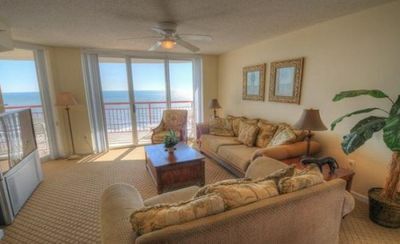 Both the living area and the master bedroom of our 4th floor condo provide breathtaking oceanfront views, giving you the sight, sound, and smell of the beach and the ocean without leaving the comfort of your easy chair. 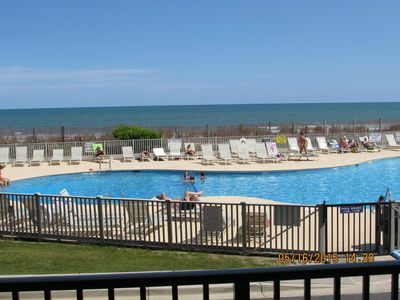 The only things standing between you and the beach/ocean are the salt-water purified swimming pool/kiddie pool/hot tub/lazy river/big green egg smoker grill area. At night you will be lulled to sleep by the sounds of the ocean waves. 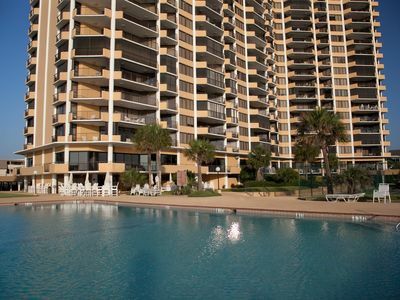 The resort provides other amenities such as a fitness and exercise room, and 8-story parking garage connected by an air conditioned glass breezeway above the street at the 3rd floor level..
Three elevators serve all 18 floors, with an open ground floor with parking for loading/unloading. At 1600 square feet with a 25 foot wide balcony, our 3-bedroom 3-bath condo is 10% larger than most other 3-bedroom condos. 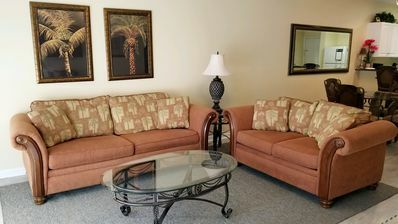 Our condo is furnished for comfort and quality, providing the feel of a home away from home, including flat panel TV’s and DVD’s in every bedroom. 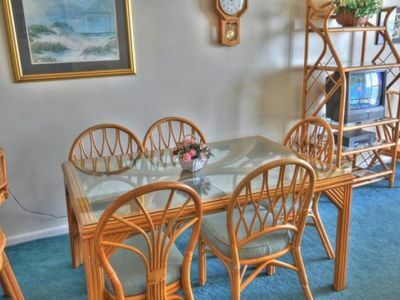 Our condo offers all modern appliances and is fully equipped. Hi-speed wireless wi-fi and streaming Netflix add to your enjoyment. The resort features controlled access with security staff and 24x7 surveillance cameras throughout. 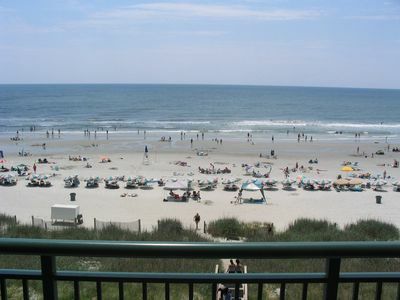 If it’s seclusion you are looking for, Windy Hill Beach is protected from large commercialism and pass through access of travelers going to other parts of popular Myrtle and North Myrtle Beaches, giving this mile-long predominantly residential beach a hard to find feeling of peace and quiet. 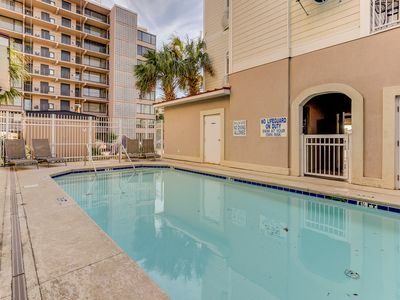 If it’s accessibility you are looking for, many of North Myrtle’s main attractions are only several blocks away, including Barefoot Landing, Restaurant Row, Alligator Adventure, and Duplin Winery. 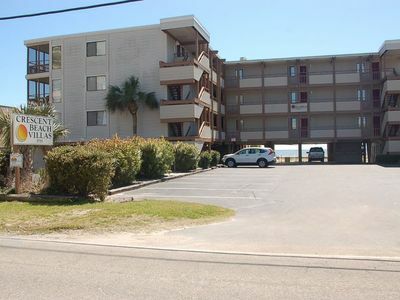 Nearby are Cherry Grove, Ocean Drive, and Crescent Beaches. 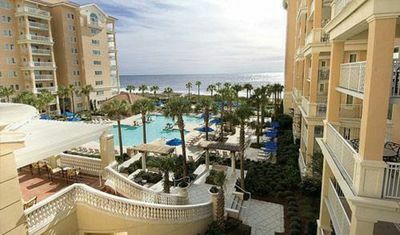 Most of Grand Strand’s main attractions, including 100 championship golf courses, miniature golf, Broadway at the Beach, Alabama Theater, The House of Blues, Dixie Stampede, and Tanger Outlet Mall, plus plenty of great shopping and restaurant options, are within 10-20 minutes driving distance. The condo itself: Our condo features ceramic tile floor in all living areas, utility areas, and bathrooms, with plush carpeting in all bedrooms and closets. 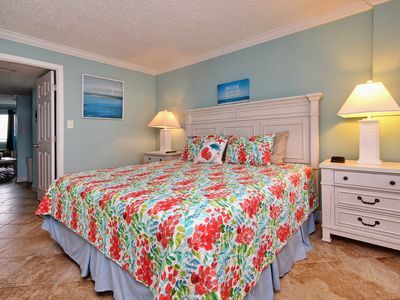 All living areas, bedrooms, and bathrooms are beautifully decorated. 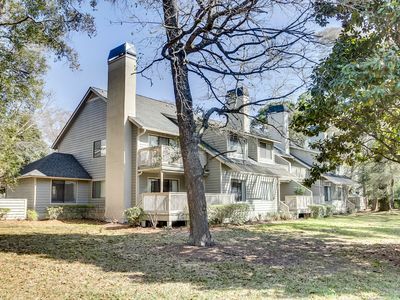 Equipment includes HVAC, fully equipped kitchen, small appliances, microwave, dishwasher, refrigerator with ice maker, range with ceramic cook top,oven, cooking/dining utensils, washer/dryer, vacuum, iron and ironing board, etc. 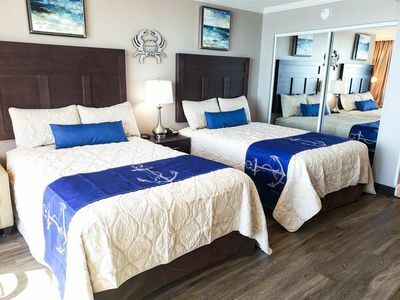 Each bedroom has its own bathroom, closet, storage, fan, flat-panel TV (70+ cable channels, including Showtime, and remote controls), Blue-Ray DVD player, remote controls, alarm clocks, etc. The cordless phone system has two handsets (living room/kitchen, and master bedroom), and includes unlimited long distance to the US and Canada. Private balcony: Extends 25 feet across the width of the condo (165 sqft). Contains a table with 4 chairs for outside dining as well as 4 additional chairs so everyone can enjoy. 180 degree views of the beach is a main attraction. At the 4th floor level, you can really enjoy the ocean and beach as well as watch the activity in the outdoor Jacuzzi, swimming pool, and lazy river just below. Enjoy your coffee at sunrise from this private and peaceful grandstand. The reds, pinks, and blues of stunning sunsets are a treat. Master bedroom and bath: Featured are a very comfortable king bed, a 26” flat-panel TV and DVD and remote controls, and additional seating. Two bedside stands and a full-length dresser provide ample storage. 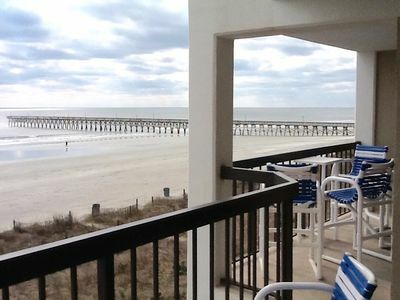 While you can see the beauty of the beach, opening the sliding glass doors out onto the balcony will invite in the soothing sounds and smell of the ocean, preparing you for a great night of sleep. There is a spacious walk-in closet. The private master bath features dual vanities, a walk-in 4' by 4' shower, and a 4' by 6' jetted whirlpool tub, all in cultured marble, to get you relaxed before bedtime. Queen bedroom and bath: Featured are a queen size bed and a 24” flat panel TV and DVD with remote controls, and a private full bath with combination tub and shower. Two bedside stands and a full-length dresser provide ample storage. A spacious closet with French doors provides ample storage. Kid’s bedroom and bath: Featured are two full beds and a 24” flat-panel TV and DVD with remote controls, and a full bath with combination tub and shower just outside. Two bedside stands and a full-length dresser provide ample storage. A spacious closet with French doors provides storage. Living room: The living room has a comfortable sofa, love seat, and recliner chair. The sofa folds out into a queen size bed if needed, allowing comfortable accommodations of a total of 8 people. There is a wide screen 46” TV and DVD player with remote controls. We have added Blue-Ray DVD and Showtime for your enjoyment. Dining room: Accommodates 6 comfortably at the table, with bar stools for 2 at the adjoining bar. This space has a mirrored wall that enhances overall spaciousness while reflecting the beach views for added enjoyment. Kitchen and pantry: Featured are Corian countertops/sink and upgraded appliances, including all small appliances (toaster, blender, canopener, coffee maker, utensils, etc. ), built-in microwave, dishwasher, side-by-side refrigerator with ice maker, range with radiant ceramic cook top, oven, cooking/dining utensils, washer/dryer, vacuum, etc. It is fully equipped for all cooking and dining needs. Adjacent to the kitchen is a pantry and a utility room with full-size washer, dryer, plus additional cabinet storage that contains a generous supply of paper products (paper towels, toilet paper, tissues, napkins, etc. ), various cleaning products, and detergents. Outside storage: Contains various beach equipment such as beach chairs, boogie boards, beach toys and games, etc., for use of our guests. Please use for wet bathing suits and sandy shoes. NOTE: THINGS TO BRING: We cannot guarantee paper products will be available in the condo upon arrival. Please bring at least a minimal set of paper towels, toilet tissue, Kleenex, etc. Roses and Dollar General just across Hiway 17 carry these items at reasonable prices. History has proven that kitchen towels are difficult to maintain in the condo, so if you feel they are necessary (instead of paper towels), please bring what you need. Beach towels are NOT provided. We apologize for any inconvenience. PLEASE NOTE: NO RVS, BOATS, GOLF CARTS, JET SKIS, TRAILERS, MOTORCYCLES, OR BOATS ARE ALLOWED. . NO SMOKING AND NO PETS. NO HOUSE-PARTIES. PERSON RESPONSIBLE FOR PAYMENT MUST BE AT LEAST 25 YEARS OF AGE. ONE MEMBER OF THE RENTAL PARTY MUST BE AT LEAST 25 YEARS OF AGE. CHECK-IN IS 4 PM, CHECK-OUT IS 10 AM. 1st floor by pool & gym. Great location.. 55" TV in LR. 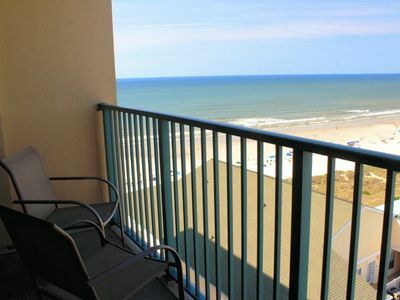 Quiet, Comfy & Picture Perfect Oceanfront Condo - 2BR / 2BA - Simply Wonderful! West Hyde Park 9H - Villa-Kingston Plantation! 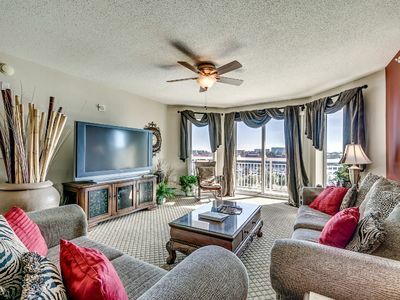 Gorgeous 3 Bedroom Waterfront Condo, Barefoot North Tower 504! 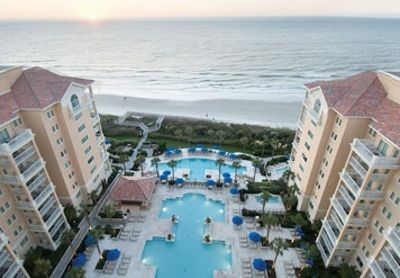 Marriott Oceanwatch~Most Weeks, Best Rates! Waterpointe II - 905 Enjoy the season with beautiful views in the perfect spot! 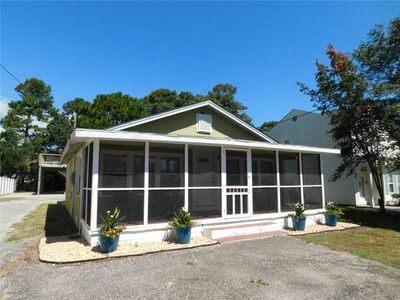 Walk to the Beach from this Adorable 2BR Cottage!!! Great Location & Affordable! 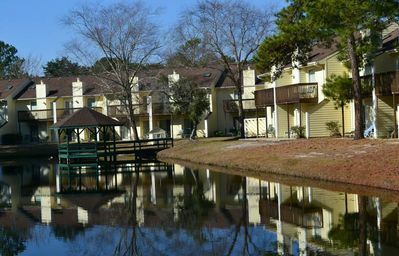 The links Golf and Racquet Club 2 BR private townhome in North Myrtle Beach SC!